Pneumadyne Solenoid Valves - DAS Services, Inc.
Pneumadyne Solenoid valves swiftly convert electrical signals into pneumatic functions. Applying electricity to the solenoid quickly directs air through the valve and into the circuit. Pneumadyne's pneumatic solenoid valves are cost effective, space saving, and use single or multiple valves. These include a variety of voltage, wattage, connector, and mounting options to ease valve selection and installation. Other advantages include fast response times and high flow rates. 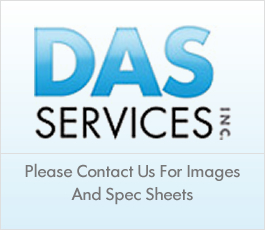 Whether you need a Pneumadyne solenoid valve to use when space is limited or something that can accommodate electrical connections or fluid handling, DAS Services, Inc. is here to help you find the best solution. For help determining which Pneumadyne solenoid valve is best for your specific needs, speak with an expert by calling 888-293-6757, or use our Live Support Chat feature! Latching Solenoid Valves are ideal for applications where power is limited or coil heating is unwanted, as continuous power is not required to maintain the energized position. Instead, to save power consumption, an internal magnet holds the valve in the energized position when the power supply is removed. Pneumadyne's Latching Solenoid Valves feature fast response times, only requiring a momentary pulse to energize and de-energize the valves. TECH TIPS: LOOKING FOR A WAY TO REDUCE ENERGY USAGE IN YOUR FLUID HANDLING APPLICATION? Anyone interested in reducing their energy usage in fluid handling applications should consider Latching Solenoid Valves and Solenoid Operated Valves. Though they have very different functions, they both achieve exceptional energy savings. Latching Solenoid Valves are best for applications where access to power is limited, since they don't require continuous power to maintain an energized position. Solenoid Operated Valves are used to pilot larger directional valves, thus requiring more energy.